In the recent test of Mac OS X security solutions by AV-TEST, ESET Endpoint Security for OS X achieved the best score in each of the tested parameters. In the On-Demand scan for OS X malware, ESET Endpoint Security was the only solution in the test that detected all malicious files for OS X and Windows. In the detection of prevalent Windows malware, again ESET was the only solution that reached a 100% success rate. ESET also detected all of the clean apps in the test as legitimate and generated zero False Positives during dynamic malware detection testing. „ESET demonstrated excellent performance when it came to detecting over 11,000 selected OS X and Windows malware threats in the test, with almost no burden on the system,“ said Andreas Marx, CEO at AV-TEST GmbH. “We do our best to protect all of our customers, regardless of the computing platform. Once again, we are happy to see that our efforts have paid off. Both business users of ESET Endpoint Security and home users of ESET Cyber Security Pro – these products‘ detection technologies are identical – benefit from our ongoing research and development, that has been recognized here,“ commented Martin Kralik, Product Manager at ESET. 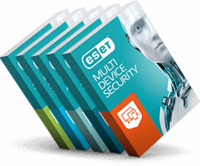 Next generation ESET security solutions, introduced early in 2015, provide customers with cloud-augmented, proactive multi-layered protection that is non-disruptive*, multi-platform**, easy-to-use, effective and fast. ESET endpoint security comes with globally recognized high-quality support and customer care in local language(s)***. To learn more about ESET business products, please visit www.eset.com. Read more in the Mac OS X security solutions test by AV-Test: https://www.av-test.org/en/news/news-single-view/12-security-suites-for-mac-os-x-put-to-the-test/. *ESET has the lowest false positive track record of any vendor, according to AV-TEST and AV-Comparatives. **Windows, Mac, Linux, Android, iOS, IBM Domino, Kerio, FreeBSD, Exchange, SharePoint Server, VMware vShield. ***ESET supports 30+ languages in its software solutions, and provides support in more than 50 languages via local teams in dozens of countries around the world.